Check out Tobi's One's True Stripes Wide Leg Pants Go crazy for culottes! The One's True Stripes Black Multi Wide Leg Pants feature a classic culotte construction with breezy wide legs, a snug high waisted fit, and a gorgeous stripe pattern. Wear a crop top and mules for a breezy, chic 'fit! Go crazy for culottes! 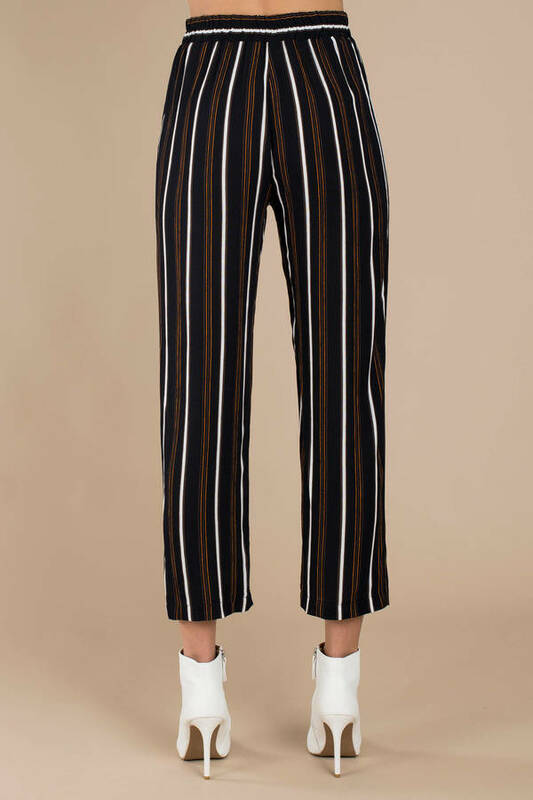 The One's True Stripes Black Multi Wide Leg Pants feature a classic culotte construction with breezy wide legs, a snug high waisted fit, and a gorgeous stripe pattern. Wear a crop top and mules for a breezy, chic 'fit!